While this isn’t unusual for a firm as large and many-tentacled as Sony, it is somewhat surprising, given the weight of the information already in the public domain, that a denial was necessary. We expect to see the new players confirmed within the week, but feel free to read the full denial after the link and see what you make of it.  Sony declined to offer an immediate comment on Tuesday after images and other details of a purported new series of Walkman digital music players appeared on the internet. 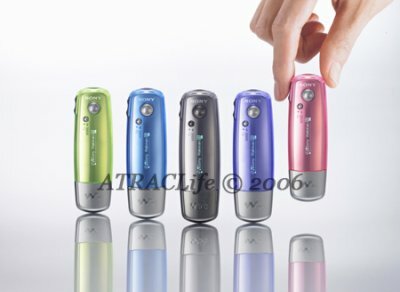 The NW-A002, A003 and A005 players will be available in 512Mb, 1Gb and 2Gb capacities and will be priced below equivalent capacity iPod nano players, according to a report on the Atrac Life website. The site also carried several professional-looking images of the supposed new players. In the images, the players look like USB flash disks, have a small OLED (organic light-emitting diode) display, a control button on the front and a built-in USB connector. This makes them look like a somewhat more complex version of the iPod shuffle. The reports were kicked off by a Swedish website, which called them the NW-E series rather than the NW-A used by the Atrac Life site. The Swedish site also posted video of someone holding the device and showing it from several angles. The site quoted prices ranging from 800 kroner ($103) for the 512Mb NW-E002 to 1,400 kroner for the 2Gb NW-E005. In Sweden, Apple sells its 512Mb iPod shuffle for 725 kroner and its 2Gb iPod Nano for 1,995 kroner. A Sony spokeswoman in Tokyo said the company was attempting to confirm the details and wouldn’t be able to comment until it had verified the information in the reports. She also said the company was unable to confirm whether the images on the websites were handouts from Sony. If the reports are correct the players would be the first new Walkman flash-memory models since Sony launched its Walkman Bean models in the second half of last year.